All improvement initiatives involve people, processes, technologies and systems that, in turn, are part of other systems. This complexity means that all parts of the health and care system stand to benefit from using an approach which considers each relevant element of the overall system and joins them up efficiently. After a fall Mrs G, a frail 80-year-old who lives alone, calls an ambulance and paramedics transfer her to hospital. She tells them she has diabetes, pulmonary disease, heart failure and kidney problems. The A&E staff are not sufficiently confident to send her home because they cannot establish the cause of her falls, access her GP record of treatment or enable extra support or assessment in her home for the next morning. Mrs G is therefore admitted and it takes days for the hospital to investigate the reasons for her fall. After lying in bed for this time she loses all confidence to move unaided. Transfer to an intermediate care facility is advised and four days later she is moved, still not confident to get out of bed alone. Mrs G is worried she will end up in a nursing home and so are her family who live far away. For Mrs G the ‘system’ does not meet her needs. This is because of inadequate planning, a lack of system-wide design and poor implementation, resulting in a disjointed service. After a fall Mrs G, a frail 80-year-old who lives alone, calls a number given to her by her community support group.A community nurse attends, checks Mrs G’s blood sugar level as she seems confused, and makes her something to eat. The nurse checks the care plan with the community-based team and rings Mrs G’s daughter to update her on the situation. Next day a speciality frailty nurse calls at Mrs G’s home to reassess her abilities, as this was her second fall in two weeks. 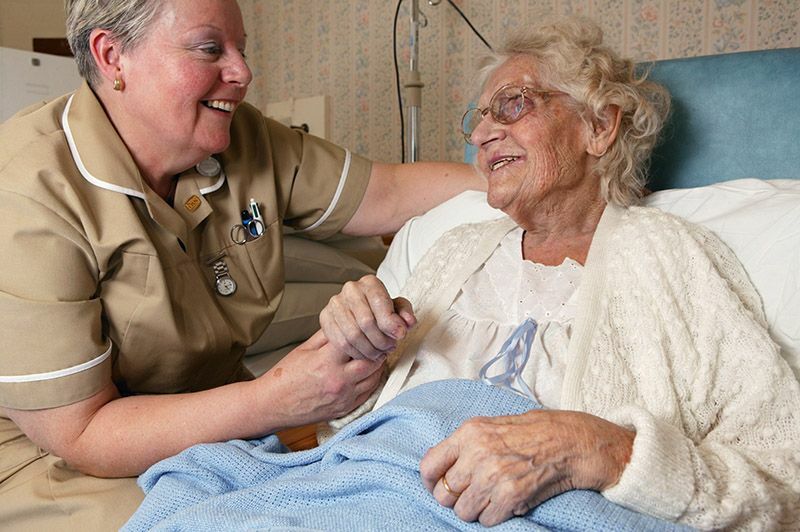 The nurse arranges extra short term care and discusses with Mrs G the possibility of moving into assisted living. The nurse arranges for her to visit a nearby facility with her daughter, updates her care plan and shares it with the GP and multi-professional team at the hospital. Mrs G is happy with the outcome and her family are reassured that plans are in place to deal with any future problems. In this revised scenario, Mrs G lives in an area where frailty has been identified as a priority issue. Putting system-wide strategies and partnerships in place to improve the quality of care, based on the known needs of local people and using available teams, means Mrs G’s care works smoothly across the interfaces between different systems of care. Healthcare is indeed a system of systems and optimising how it works saves money. In this scenario ambulance waiting times are reduced, hospital costs are avoided and patient flow improves because more people have the expertise and authority to contribute to Mrs G’s care. She is safer because her care plan is seen by more health and care professionals and she has a better patient experience. The participants of the programme leading to this report recommend that the situation described in the revised scenario would most effectively be achieved using a systems approach to design and improvement.